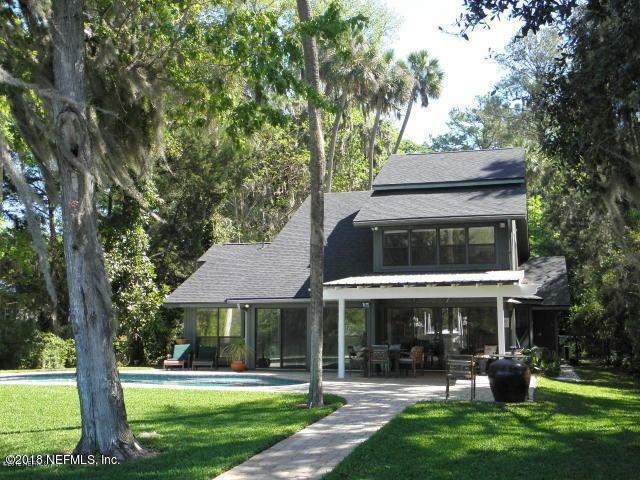 This Intracoastal home was completely remodeled in 2009. Its improvements included an expanded Owners suite and closet area, an enlarged dining area with sliding glass doors and windows, a beautifully remodeled kitchen with granite countertops and cabinetry, a 20 x 20 bonus room and a new roof. To enjoy the Intracoastal lifestyle there is a dock, built in 2009 has a 6,000lb. lift, a 10,000 gallon pool and a covered exterior dining area.Its lot is beautifully treed and offers privacy amidst a natural setting.